Back in the ‘90s there were arguably three clubbing brands that dominated UK clubbing – Ministry of Sound in London, Cream in Liverpool and The Tunnel Club in Glasgow. Ministry of Sound went on to be one of the biggest clubbing brands in the world and Cream developed its clubbing and festival schedule, going on to create the huge Creamfields events around the globe. Sadly for the Tunnel though, that’s where the success stories end. Internal politics with its owners led to the downfall of the club and its parent owners. In the early noughties, the club fell into a downwards spiral, eventually being bought by a new leisure group, who moved it away from its dance music heritage. As one of the key players in the UK clubbing scene for over 10 years, it was sorely missed by its thousands of regulars. Who could forget its massive Triumph and Ark weekend club nights, or even its legendary Thursday student nights, which redefined the student playlist? There was no key strategy behind the name. As the Tunnel is still a trading name in Glasgow, we couldn’t use the ‘Tunnel’ name in the page. We also didn’t want to confuse the original Tunnel with the style of club the present Tunnel Club is. 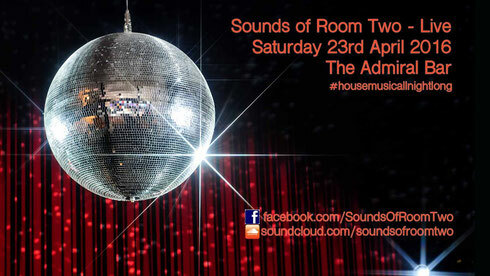 So, not wanting to call it after the key nights – Triumph and the Ark – we just settled on Sounds of Room Two as we loved that room on a Saturday night. But, the success of the original Tunnel club was down to its residents in all the rooms over the whole weekend. Add the amazing staff and a stylish, musically-educated crowd and… well, it just all worked. Your first event is tonight at The Admiral Bar in Glasgow. Did you expect it to be this popular? We’d been running the Room Two Facebook page since the summer of 2015, talking about the music we love and various other fun times. All through it all though, we kept getting asked to host a reunion night. But that was easier said than done. We mentioned before that the romance of the night would cloud the reality of it ie everyone is older with less time to commit to a party like this, so straight away your audience demographic decreases, despite people’s best intentions! But we were determined to do the night, so with our preferred choice, The Admiral Bar’s basement club, booked out every Saturday in the last quarter of 2015, we decided to just go for one of their first available dates this year. So, we chose tonight, 23 April, the week after the Easter holidays, which, with the demographic involved, was something we had to consider! It was important to us to keep the price point down as so many of these types of nights are all about the quick buck. For us it wasn’t about exploiting the memory, it was paying respect to its legacy. We just wanted to play the music we love to a crowd that loves the music. Think it was January when we put the first batch of tickets up for sale and charged £5, letting everyone know that they would be £5 for a month, before going up to £8 for the remaining tickets. The first batch sold out in 24 hours! We then got offered the rest of the venue, which would allow an extra 100 people to attend, although incur extra costs. We asked on the page if there was a demand? There was, and the next day those 100 tickets sold out on Skiddle in ten seconds! We couldn't believe it! The event was still over three months away and we’d sold it out! So why did you wait so long until your next one, Saturday 17 September? We would love to do this once a month. A party for a few hundred friends, playing the music we all love, but we think people just couldn't commit to it. In fact, we’re not even sure we could! Childcare is expensive nowadays! So we chose September as by then everyone will have had their holidays and should have recovered from the April event! Unbelievably, we’ve already sold out the first batch of tickets for this event, eight months in advance, which is just phenomenal when you think about it! We sold out these tickets in just over an hour! We know we could have sold them quicker, but one of the complaints we got was people bulk buying, so we tried limiting them to four per transaction – again at £5 – and that seemed to make sure most people got them. If everyone loves tonight's party, we’ll sell the next batch for September next week. So the music policy for the parties, will it all be soulful and funky ie the Sounds of Room Two? We firmly believe that it’s the promise of the right music that has made these events work, not the DJs. It’s just essential that it’s the right DJs playing the music. We’ve sold out September’s first batch without even mentioning any DJs. To be clear though, the parties will be the best music from the original Tunnel, both rooms because that’s the way it should be. We’ll start with some great house music anthems and increase the BPMs later on in the night. 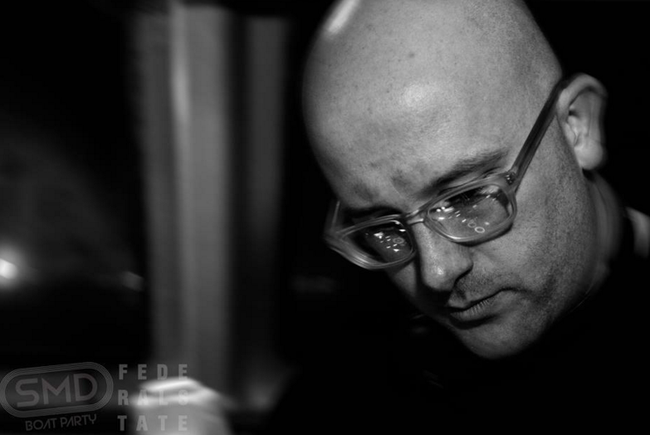 Scott Mackay is on board and was possibly the longest serving room one Tunnel resident. He was a legend of The Ark and is more than qualified to carry off a room one set. You have to remember too, Scott and Kevin McFarlane both played Room One at the massive student Thursdays, where apart from the cheesy 45 minutes at 1am, the rest of the night was focused on house, progressive and trance. As well as being the Room Two residents at the Triumph Saturdays, Stephen Lee and Kevin also played a weekly trance and progressive set every Friday at Universe in Coatbridge. 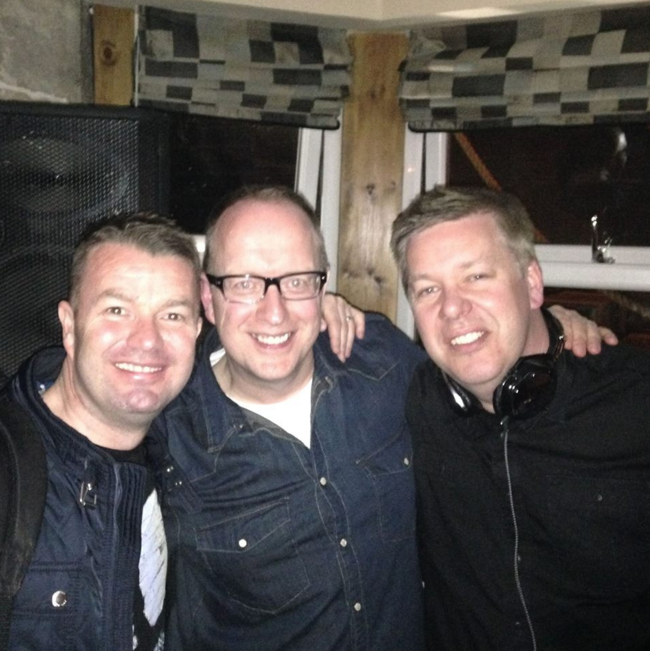 All three of them used to do the weekend lock-ins on Beat 106 too (Scott with Lisa Littlewood, another ex-original Tunnel DJ), which was probably the best post clubbing experience in Central Scotland and something that clubbers would love even now. These three guys, with Woody, also ran the music at the hospitality tent at T in the Park for 15 years, playing an eclectic mix of great music. So musically, there’s more than enough experience to make the nights a success! So, what are the plans for the rest of the year and will any other DJs be involved? Contradicting our earlier answer, we recently (April 2016) asked The Admiral if they have any Saturdays free between May and August, to see if there would be interest in another party, in advance of the night on 17 September. And/or, we're also considering a summer boat party, which with the style of music and the type of clubbers involved, we think would be absolutely amazing! Withe regards to other DJs, we originally planned to involve other DJs, but one of our preferred choices ruled himself and a few others out of the nights, so that kind of scuppered that! You never know though, maybe at our Christmas party on Saturday 17 December at The Admiral Bar, we can have the ultimate reunion! Watch this space!